Design your own massive robot and then jump into the cockpit to do battle against massive opponents. Your objective is simple: Topple your opponent before you get toppled. 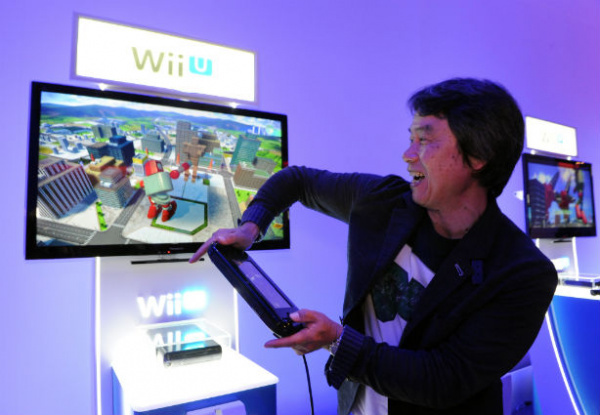 The Wii U GamePad controller view puts you at the helm of a giant robot as you try to knock opponents over. You’ll be towering over skyscrapers in your enormous combat machine. Each screen – one on the TV and one on the GamePad – provides just a piece of the experience, so players are encouraged to use both perspectives depending on their strategy. Use motion controls in the cockpit view displayed on the GamePad to target opponents, while the full-scale of the battle unfolds on the TV screen. The TV view shows a zoomed-out third-person perspective, almost as if it were a news camera covering an unexpected battle among giant beasts. Unique controls let you tilt the GamePad to control your robot’s upper torso, while the left and right control sticks control your robot’s left and right arms. You’ll need to synchronize your upper torso movement to land punches with strong momentum to topple enemy robots. You can also use motion controls to aim and fire powerful laser beams at enemy weak spots or at enemies on the ground. Start off by using the GamePad touch screen to build the perfect robot by choosing different parts and editing its head, arms, torso, legs and feet. A tiny head might make your robot a harder target, but if its legs are too short, you’ll move slower. Even though it's only 1 player. I think this will entertain so well at parties. While the player is seeing a different game on the pad. The viewers are watching a more cinematic fight. I really hope this still comes out.